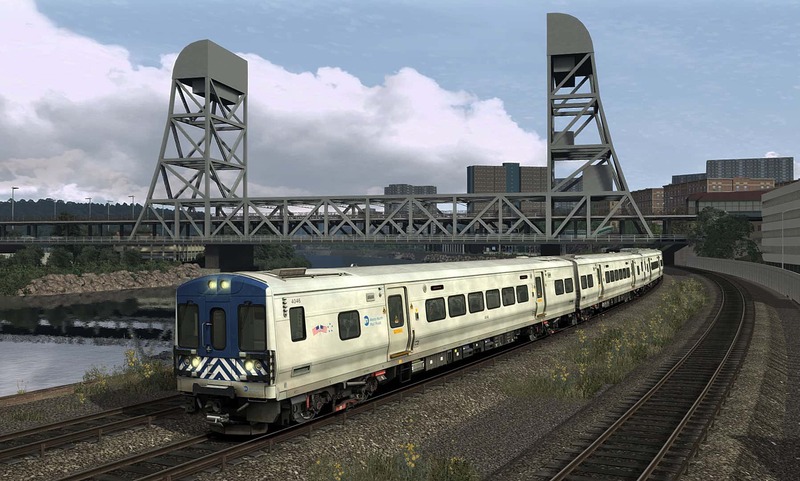 The Metro-North M7A EMU is a hard-worker on Train Simulator’s new Hudson Line: New York – Croton-Harmon route! 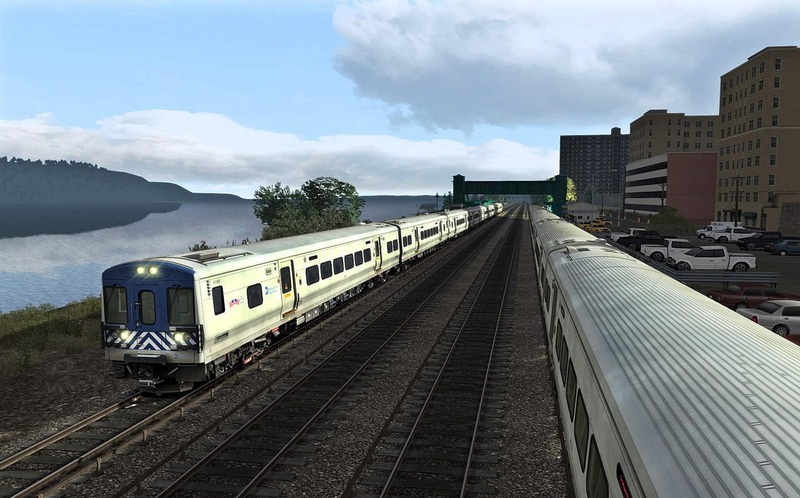 The Hudson Line: New York – Croton-Harmon route is now available for Train Simulator – and Metro-North Commuter Railroad’s M7A electric-multiple-unit trains are hard at work as the featured equipment on this bustling contemporary American route! The blue-and-silver M7A EMUs were introduced to Metro-North service in 2004 and MNCR rosters more than 330 of these flashy blue-and-silver EMUs, which serve as the backbone of electric commuter services on MNCR’s Hudson and Harlem lines. 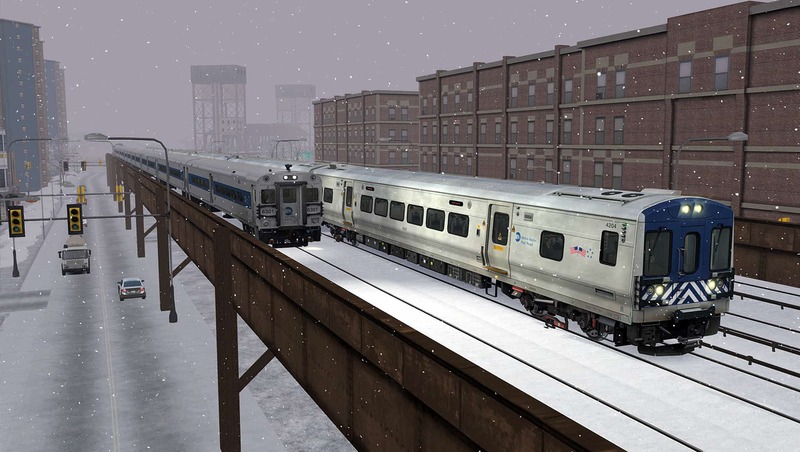 The story of the MNCR M7A begins “across town” in New York with the Long Island Rail Road. At the close of the 1990s, the LIRR’s fleet of EMUs, which included M1 and M3 electrics, were due for replacement and the Metropolitan Transportation Authority (the “MTA,” parent of both the LIRR and MNCR) selected a modernized version of its venerable EMUs – to be designated as the M7 – as its next generation of electrics. 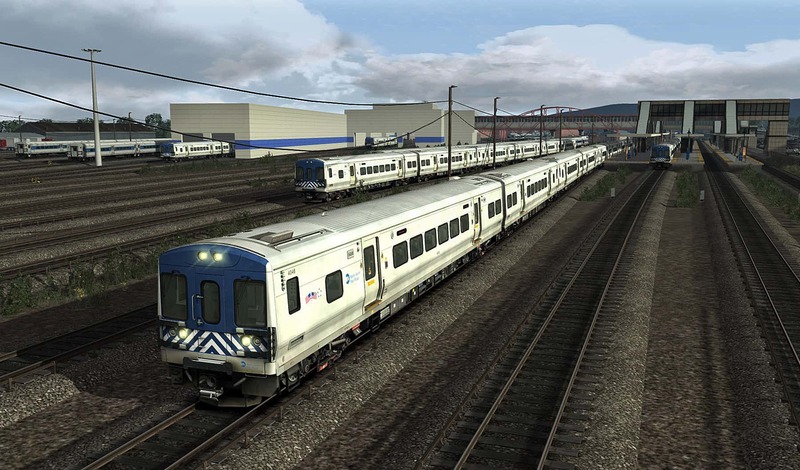 LIRR would over time acquire a fleet of 836 M7s, the first of which entered service in 2002. Of stainless-steel construction, the M7s receive power via DC third-rail. Stretching 85-feet in length and weighing approximately 125,000 pounds per copy, the M7s were built in married pairs, with each pair offering a capacity of 211 commuters. The same need for fleet renewal that existed on the LIRR also faced Metro-North (which at the time relied upon M1A and M3A EMUs). Accordingly, for deliver between 2004 and 2007, MTA and MNCR acquired 336 new EMUs, designated M7A, to be use on the railroad’s Hudson and Harlem lines. Aside from the M7As blue-and-silver livery (as compared to LIRR’s yellow-and-silver scheme), a key visual difference between the sister models is that M7A power shoes are equipped to draw electricity via the bottom of the third rail while LIRR M7s draw power from shoes riding atop the third rail. Metro-North’s M7As were assigned road numbers 4000-4335 and have a maximum in-service operating speed of 80 mph. The M7As are most typically configured in either six- or eight-car consists. On the Hudson Line, the M7As handle trains operating between Grand Central Terminal and Croton-Harmon, New York, which is the northern terminus of electrified territory on the line (MNCR trains operating north of Croton-Harmon are equipped with P32AC-DM diesels and Shoreliner railcars). 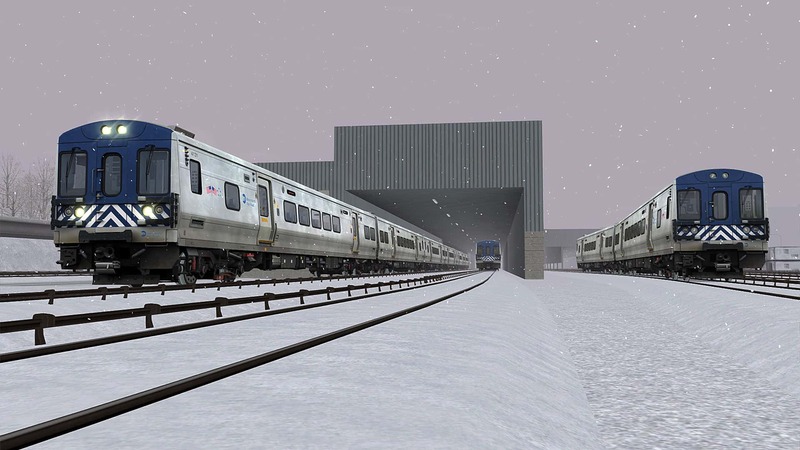 While it is anticipated that the next generation, MTA “M9” class EMUs will eventually replace the M7As, the present-day electrics are the workhorses on the Hudson and Harlem lines and will be for years to come. 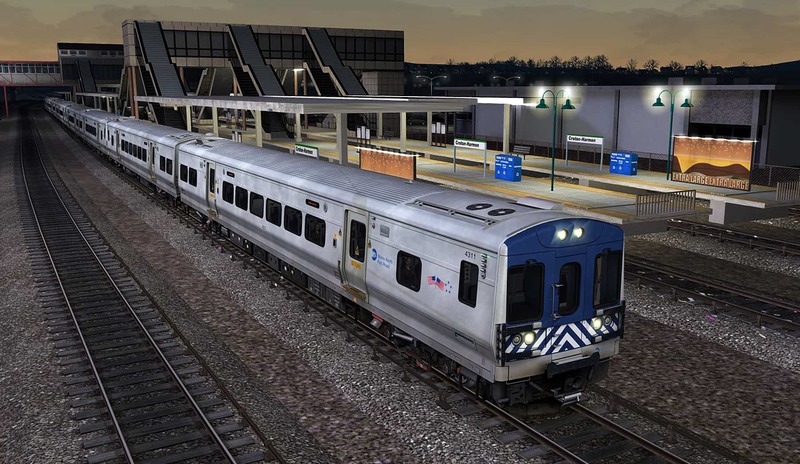 Featured equipment of Train Simulator’s newly released Hudson Line: New York – Croton-Harmon route, and the workhorse of Metro-North’s Hudson and Harlem lines, is MNCR’s M7A electric-multiple-unit. 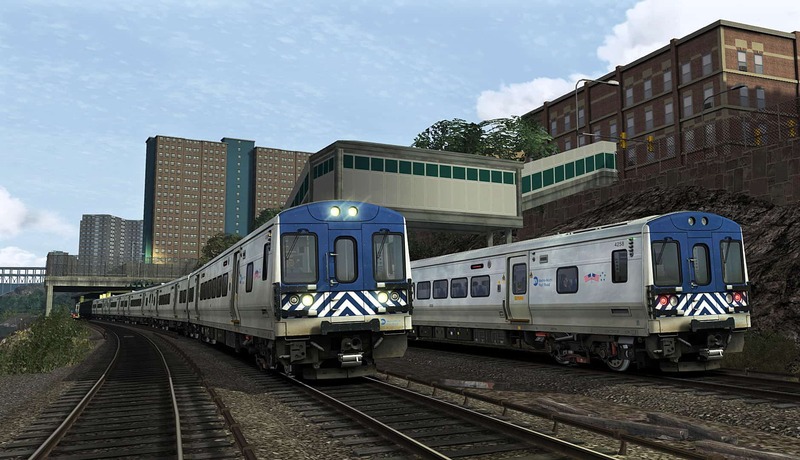 The blue-and-silver M7As were introduced to Metro-North service in 2004 and MNCR rosters more than 330 of these flashy blue-and-silver EMUs Screenshots by Gary Dolzall. At Croton-Harmon station, a set of Metro-North M7As are ready for commuters to climb aboard and make the journey to New York’s Grand Central Terminal. 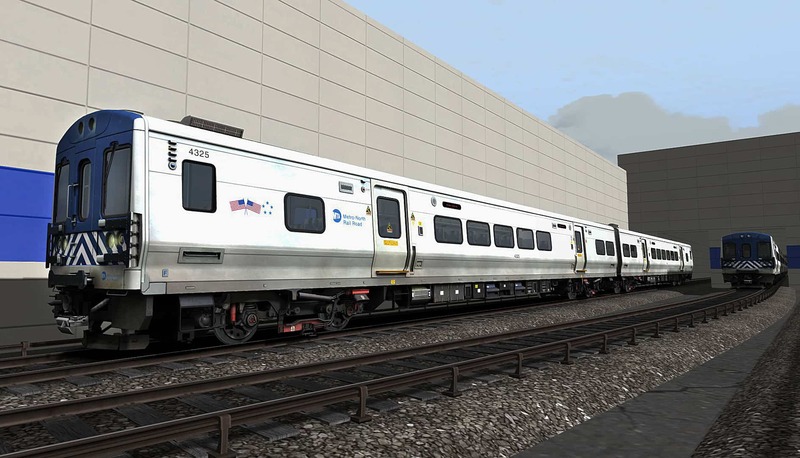 Of stainless-steel construction and stretching 85-feet in length, the M7As are sisters to the Long Island Rail Road’s expansive roster of yellow-and-silver M7s. 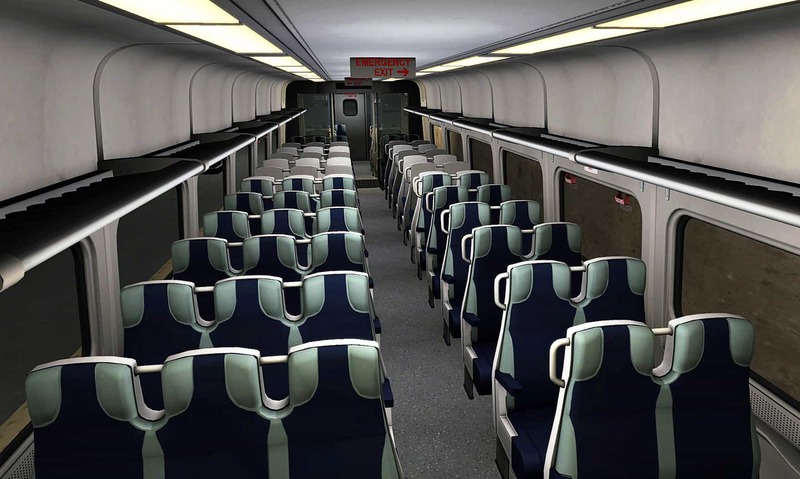 As included with the new Hudson Line: New York – Croton-Harmon route, the Train Simulator MNCR M7A features detailed and authentic controls (above) and a complete coach interior (below). Delivered in married pairs, the M7As typically operate in six- and eight-car consists on the Hudson Line. 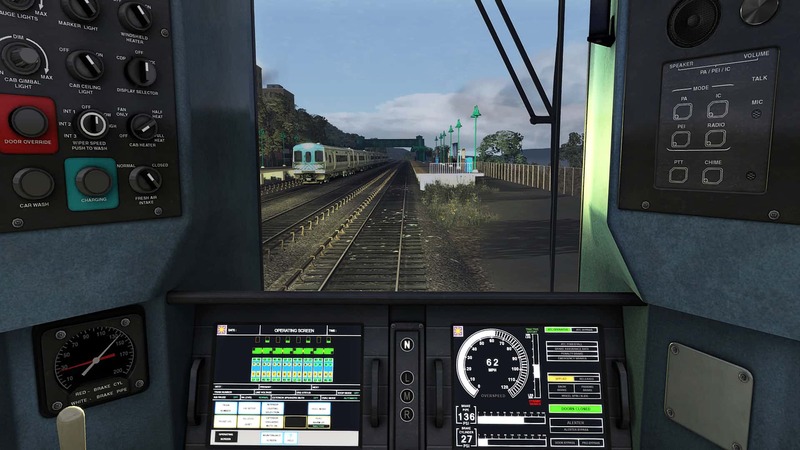 The Train Simulator Hudson Line: New York – Croton-Harmon route includes two major Metro-North facilities that tend the maintenance and repair needs of the M7As and other MNCR equipment. Metro-North’s primary shop complex is at Croton-Harmon (above), while its Highbridge facility (below) is located along the Harlem River in the Bronx. Year-round and around the clock, Metro-North’s M7As are the electric workhorses on the Hudson Line. A northbound MNCR M7A set has just emerged from the Park Avenue Tunnel (above), while another M7A set and a consist of MNCR Shoreliners (below) pace each other out of Harlem 125th Street bound for Grand Central Terminal. Metro-North’s Hudson Line is historic, busy, and scenic. Among its many notable features are the numerous bridges along the line, which include famed Broadway Bridge at Marble Hill which carries MTA’s “1” Subway line over the Harlem River (above), and MNCR’s towering bridge over the Harlem River just north of 125th Street (below). 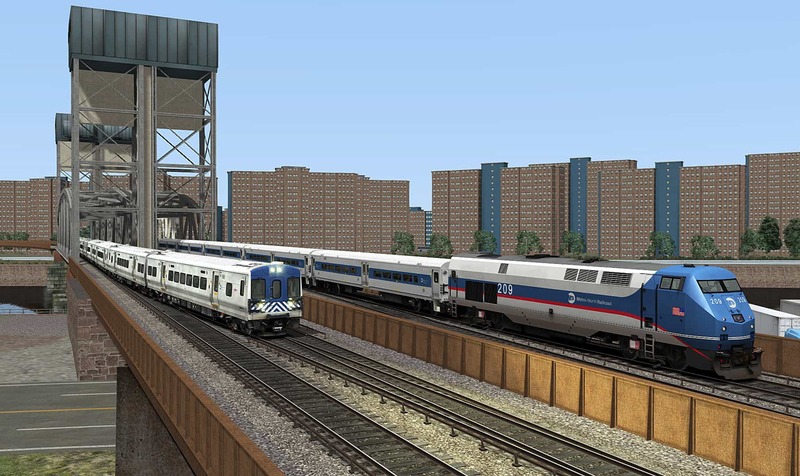 In addition to the M7A, the new Hudson Line: New York – Croton-Harmon route includes a variety of MNCR, Amtrak, and CSX equipment. In a scene replicated countless times on the bustling Hudson Line, M7As meet along the wide Hudson River at Greystone. 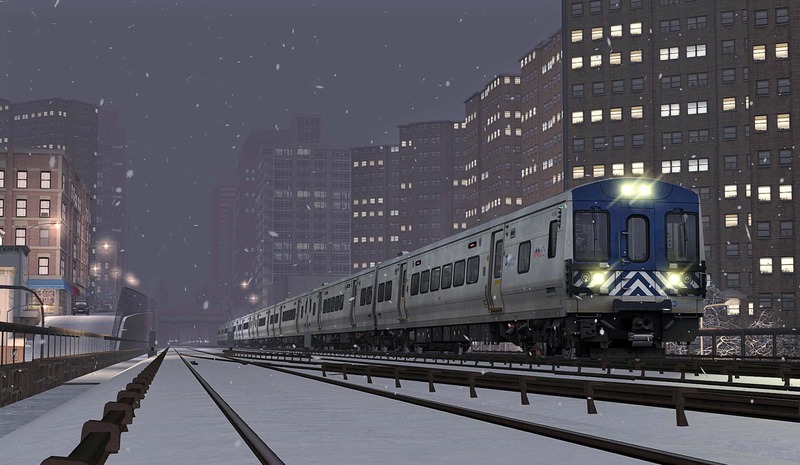 Train Simulator’s dynamic Hudson Line: New York – Croton-Harmon route is available now at the Steam and Dovetail Games stores!